Tim Kohlenhoefer is a Missouri native. He was raised in Saint Charles, Missouri and continues to live there. Tim started practicing law in 2001 and began working in Complex Toxin litigation in 2006. He maintained his own private practice in St. Charles for over nine years before joining the Gori Julian and Associates team where he will continue to work for individuals and their families who have been harmed by asbestos exposure. 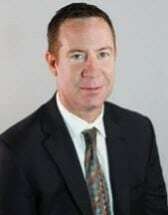 Tim is an Army Veteran and is registered as an Accredited Attorney with the Veterans Administration. He also currently is licensed in Missouri State Court as well as the Federal Eastern District of Missouri.